American Women during World War II documents the lives and stories of women who contributed directly to the war effort via official and semi-official military organizations, as well as the millions of women who worked in civilian defense industries, ranging from aircraft maintenance to munitions manufacturing and much more. It also illuminates how the war changed the lives of women in more traditional home front roles. All women had to cope with rationing of basic household goods, and most women volunteered in war-related programs. Other entries discuss institutional change, as the war affected every aspect of life, including as schools, hospitals, and even religion. 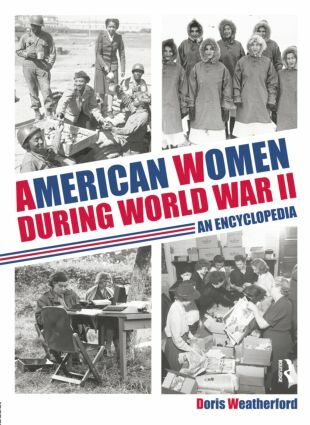 American Women during World War II provides a handy one-volume collection of information and images suitable for any public or professional library.